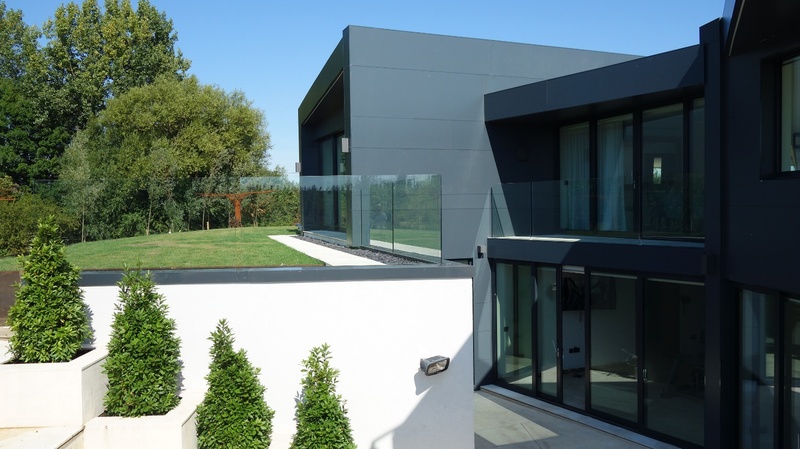 Cleverly thought out, with a multi-facetted low angle roof that incorporated multi-directional falls, and large soffit overhangs, provided the low-level appearance of this house to comply with the planning restrictions that were imposed upon it. 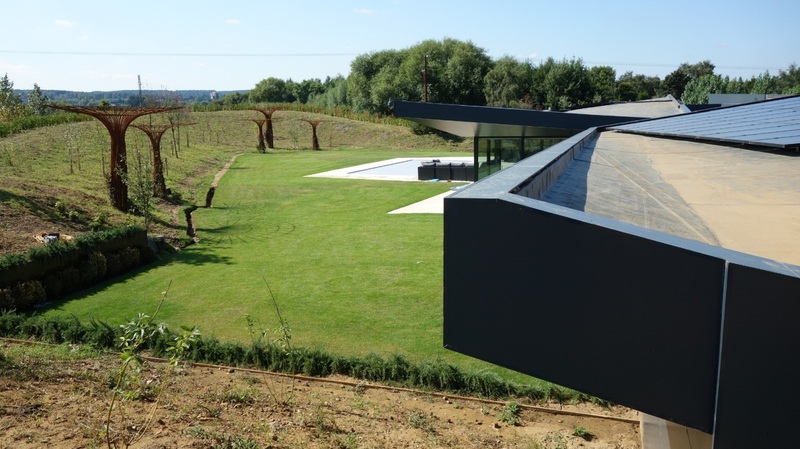 These large roof overhangs were designed to shade the extensive floor to roof glass walls. 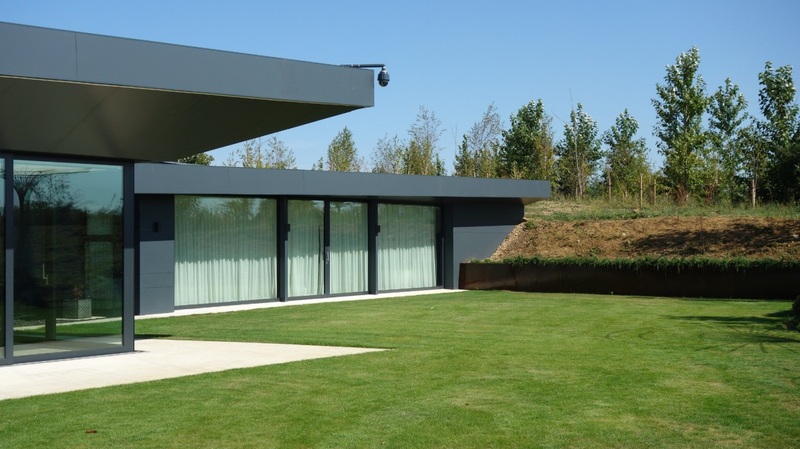 These full height, glass curtain walls are designed into many areas of this unusual but spectacular, innovative design to satisfy the clients requirements to achieve both a high level of natural lighting within the building, while also providing unobstructed views of the garden and landscape beyond. 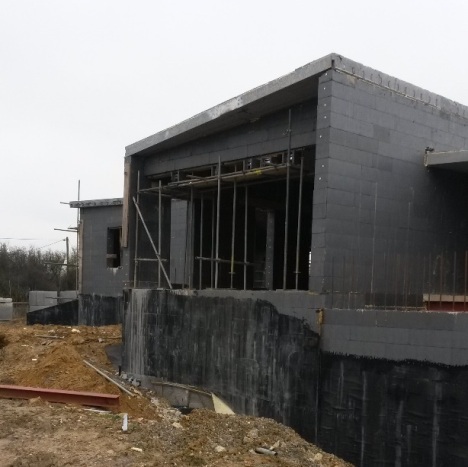 Due to the restrictive planning conditions on the ridge height for this site in Milton Keynes and the planners necessity for the building to blend into its surroundings, this contemporary, extensive, open plan build, inclusive of a basement floor area of approx. 500m2 and the ground floor area above of approx. 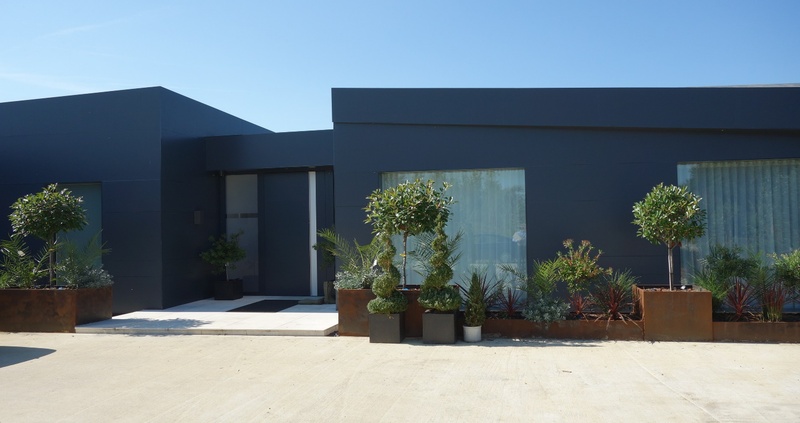 800m2 proved to be a very challenging design for both the architects and the engineers that had to fulfil both the clients requirements and the planning authority’s approval. 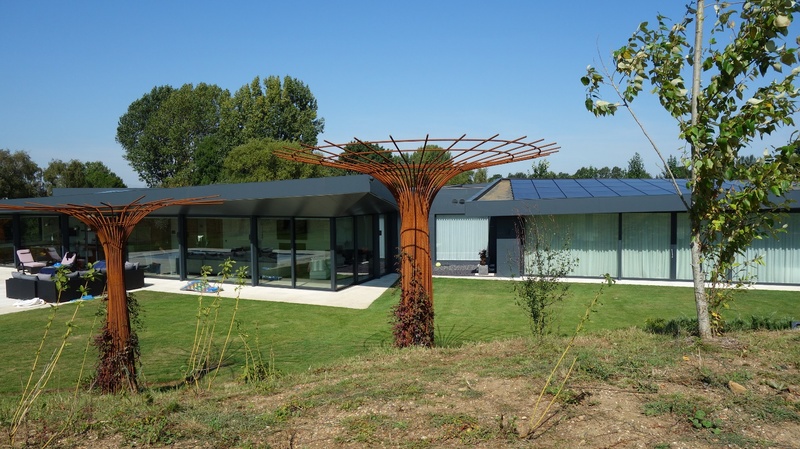 Thermohouse provided their complete low energy building system to erect the structural, airtight, thermal envelope for this project. 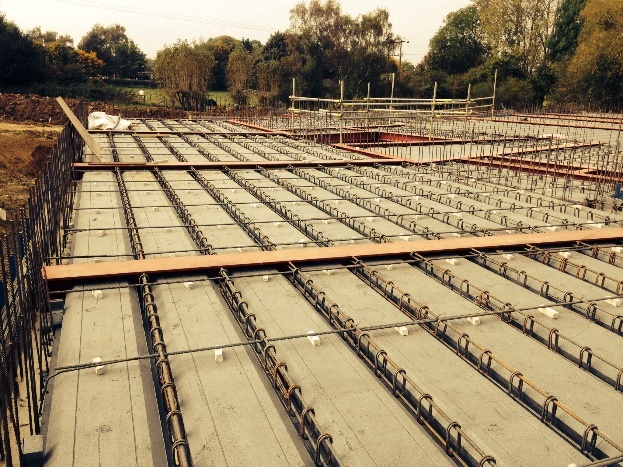 The Thermohouse insulated formwork was used to erect all basement retaining walls, all internal loadbearing walls and all external walls above ground floor level. 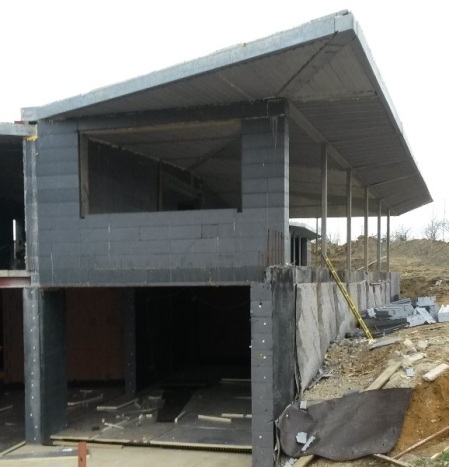 The ThermoFloor panel system (a non-structural permanent shutter) was used both over the basement area and as a suspended floor on the 300m2 outside of the basement construction. 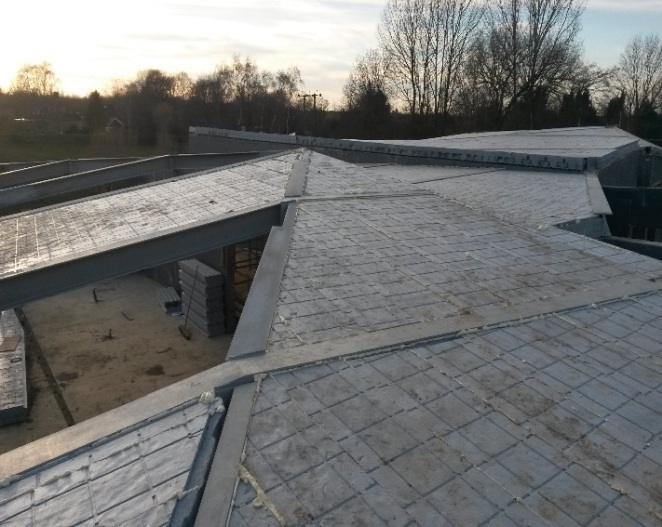 This exquisite design was then completed by closing the structure with the ThermoRoof passive roofing panel, with which it was possible to achieve such a complicated design while achieving the thermal capacity that this building required.